The power supply circuit I chose for my 6L6 transmitter is fairly common. It is a standard power supply that can be used for many projects. The 5U4 rectifier tube is capable of handling a wide range of loads. The 5U4 filament requires 5 volts at 3 amps. When choosing a transformer be sure that filament voltages are correct as well as the amperage ratings. Many transformers are 5 volt @ 2 amps. 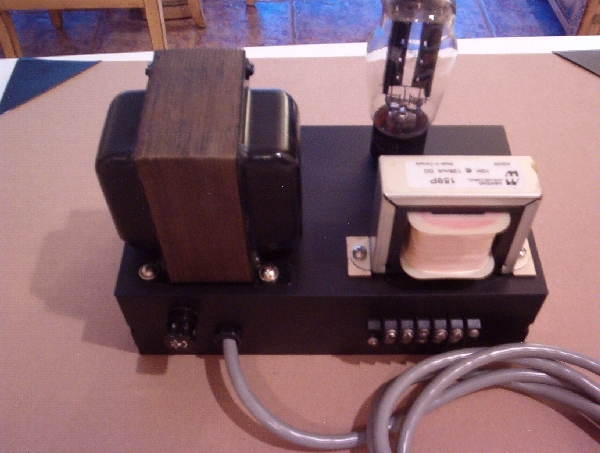 Using a 5U4 rectifier would eventually ruin the transformer. You could use a 5Y3 rectifier tube which is 5 volts @ 2 amps. The 5U4 and 5Y3 use the same tube socket. The high voltage windings are a little easier. Choose a transformer close to the voltage you want. The choke, filter capacitors and bleeder resistor will determine your final output . 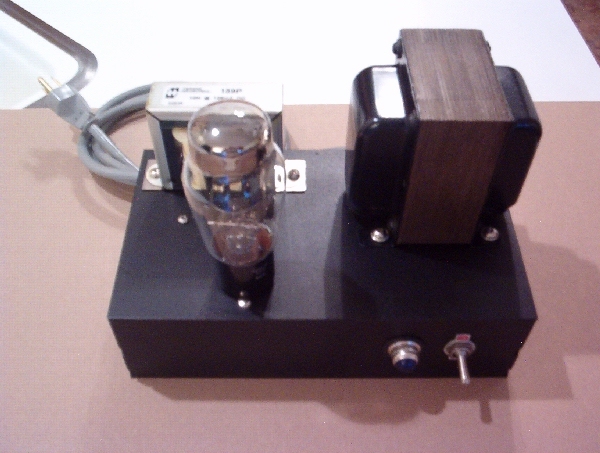 Be sure the milliamp rating is equal or greater that what you need. I prefer the higher rating. My power supply uses choke input filtering. This simply means that the choke goes before the filter capacitors. This helps with voltage regulation which is perfect for a CW transmitter. The filter choke smoothes the AC ripple. Be sure the milliamp rating matches or exceeds the load. A common value for filter chokes is 10 henry. Choose a choke around this value. I have never heard the difference between a 8 or 12 henry choke. Tube data sheets will provide information on what value your filter capacitor should be. In this power supply a 10 mfd. followed by a 33 mfd. provides adequate filtering. Going up in value will raise your B voltage. The bleeder resistor drains the filter caps after turning the power supply off and provides a small load on the power supply. My power supply provides 362 VDC with 20k resistor. Going to a 40k or higher resistor would raise the B voltage. This power supply provides high voltage which can be LETHAL. Use extreme caution and seek help if needed. Before touching anything under the chassis, turn the power supply off and wait a few minutes. 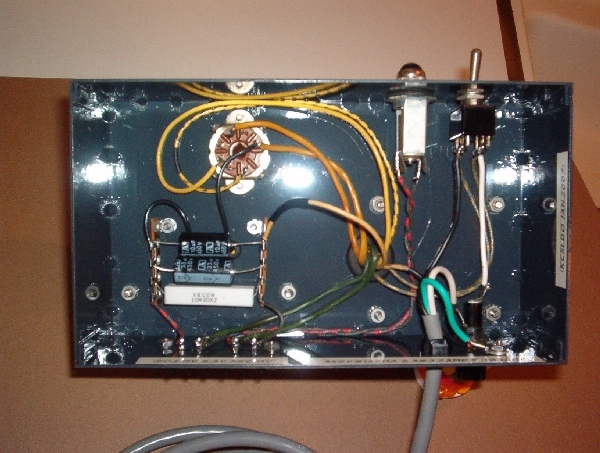 After all the checking out is done, hook it up to a favorite project, like the 6L6 Transmitter. Get on the air and have fun. Look for you there.